For this series, we invite our readers to share their favourite hiking route. Our guest writer today comes from rural Tennessee. At an early age she knew she wanted to leave her parent’s log cabin and explore the world. Her name is Jennifer Melroy and she writes the travel blog Made All The Difference. 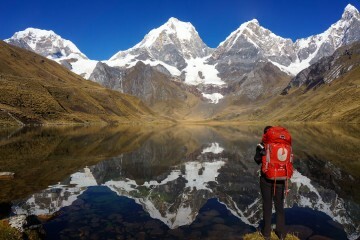 Without further ado, Jennifer, show us your hike! You can also reach her on Facebook, Twitter, Pinterest & Instagram. Mount Rainier dominates the landscape of Washington. 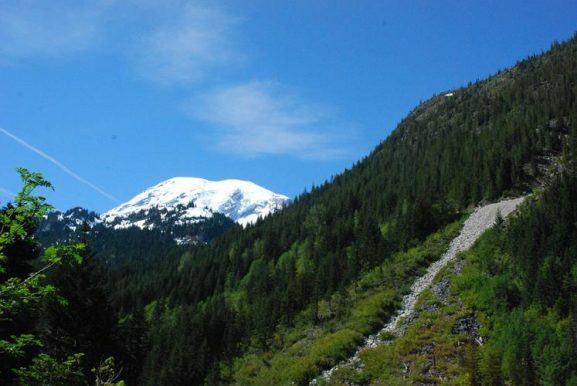 It is the highest peak in the Cascade Range of the Pacific Northwest. 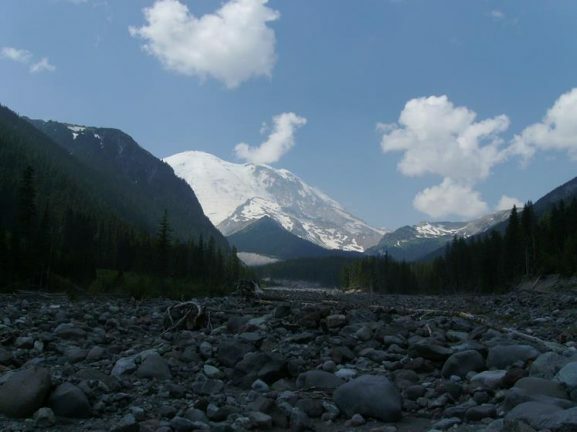 The Wonderland Trail encircles Mount Rainier. 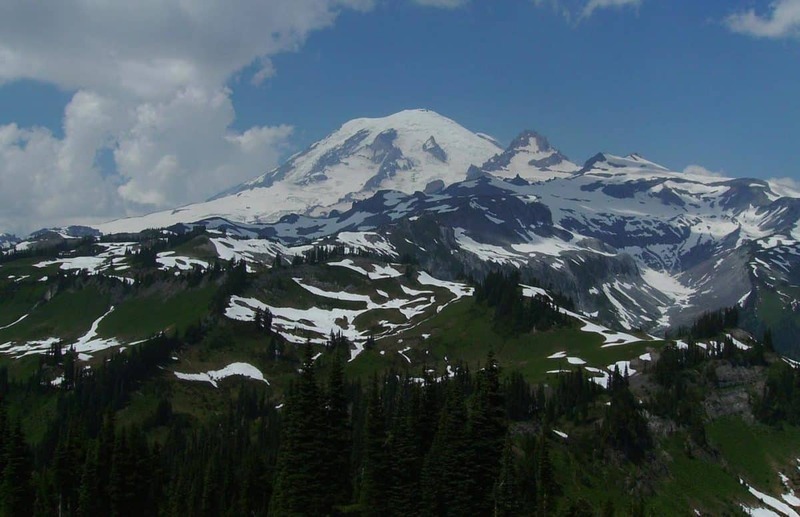 The trail is rugged and has over 22,000 feet of elevation change, which is the equivalent of climbing to the summit of Mount Rainier, twice. The trail conditions vary from from well-maintained and clearly marked to difficult to find the way. Typically, the trail is hiked clockwise which has gentler uphill grades and steeper downhills. Most of the creeks and rivers have footbridges installed but be aware that if recent flooding has occurred, they may be washed out. 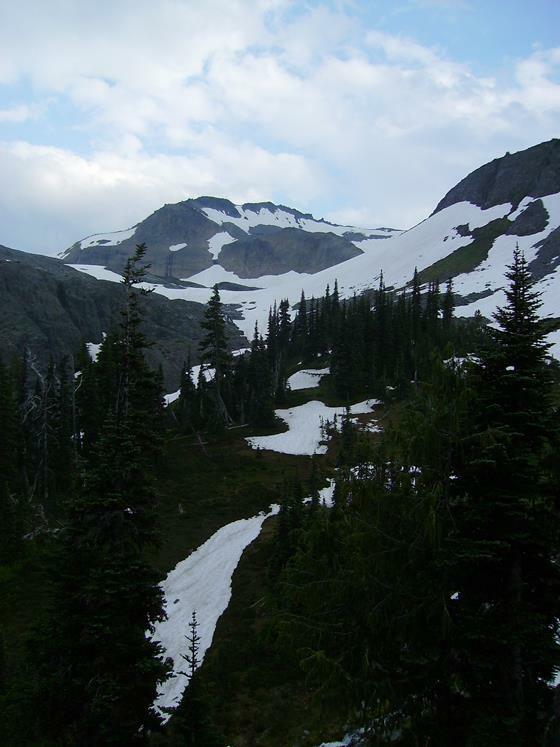 The trail passes by the lower edge of several of the glaciers such as Carbon, Tahoma, and Winthrop Glaciers. Wonderland Trail is easily accessed via road. There are four main access points, Longmire, Isput Creek (via 5-mile hike along the Carbon River), Mowich, and Sunrise/White River. There are five other trailheads that are mainly used for day hikers. 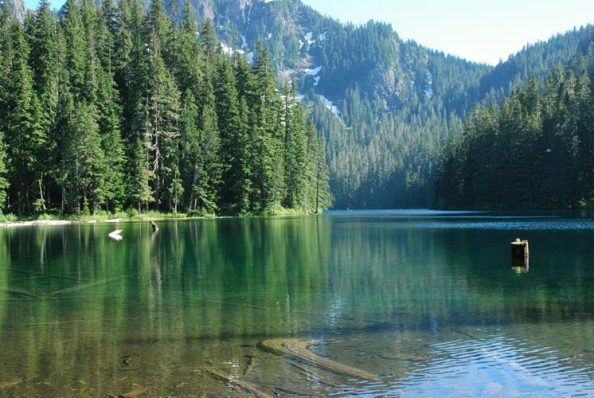 At Mowich Lake, Wonderland hikers can chose to follow Wonderland to Ipsut Creek or go through Spray Park. The mileage is similar on either route. The Spray Park Route goes through alpine meadows while Ipsut Creek is through the old-growth trees of Ipsut Pass. There are 18 backcountry campsites on Wonderland Trail and two on the Spray Park Route. 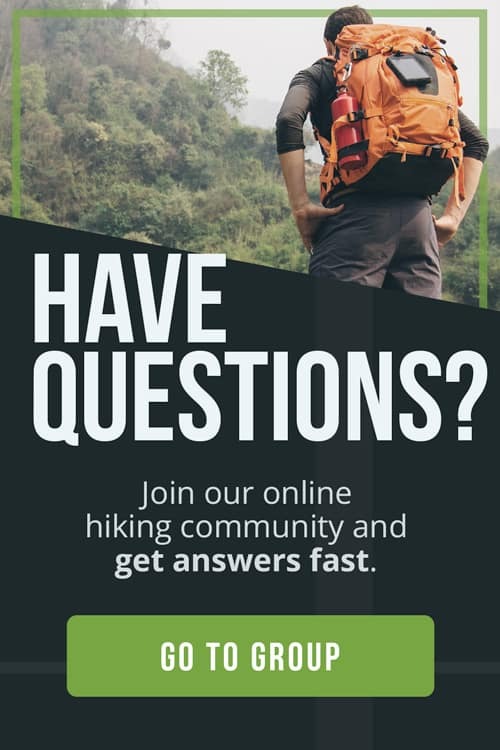 You are required to have a permit to camp on the trail. Each camp has a composting toilet and a nearby water source. There is a $20.00 reservation fee if made in advance. There’s no fee for walk-ins. There are three non-backcountry campsites on the trail which have running water, showers and electricity. They charge a nightly fee for use. There are cross-country camping zones in the park. These zones allow you to choose your campsite within a set of guidelines. There are no toilets with this option. Hikers can cache food and fuel at the Longmire Wilderness Center, White River Campground, Mowich Lake Patrol Cabin, and Sunrise. The caches must be mailed or hand deliver to the pick-up location. 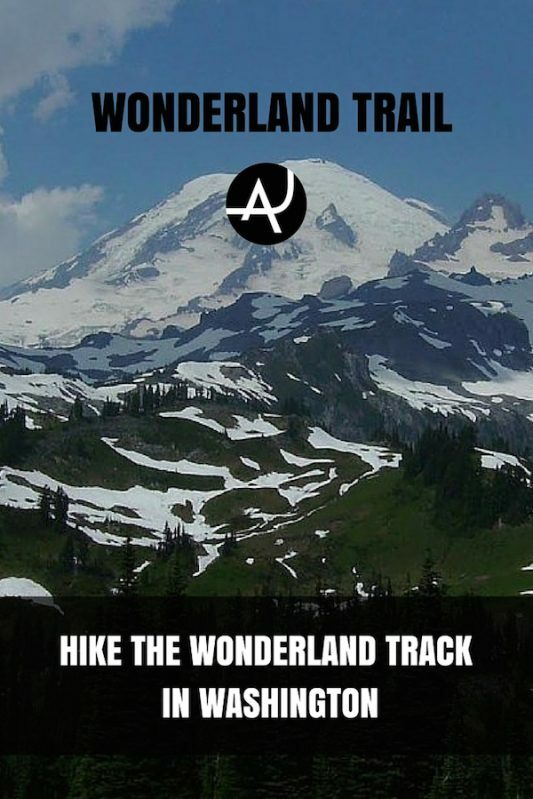 I completed Wonderland Trail in six sections during the time I worked at the Paradise Inn in Mount Rainier National Park. On my my days off I hiked the Wonderland as the snow melted off the trail. In total, I hiked Wonderland in 12 days which includes doing a loop hike through Spray Park and the Isput Creek from Mowich. 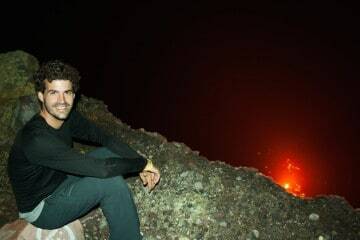 The first section of Wonderland I hiked was 4.5 miles from the Paradise Campsite to the Longmire. A friend and I decided to snowshoe down to Longmire from Paradise. It was late May and the trail was snow covered and not well marked. We quickly got off trail and winged our way down. After finding a snow cover bridge, we got back on the trail. About a month later, I took a day off and did a 9-mile day hike from Narada Falls to Box Canyon. It was still early season and the snow hadn’t melted off the trail. The trail maintenance crews hadn’t had a chance to clean up the winter damage and most of the hike was like climbing on a jungle gym. 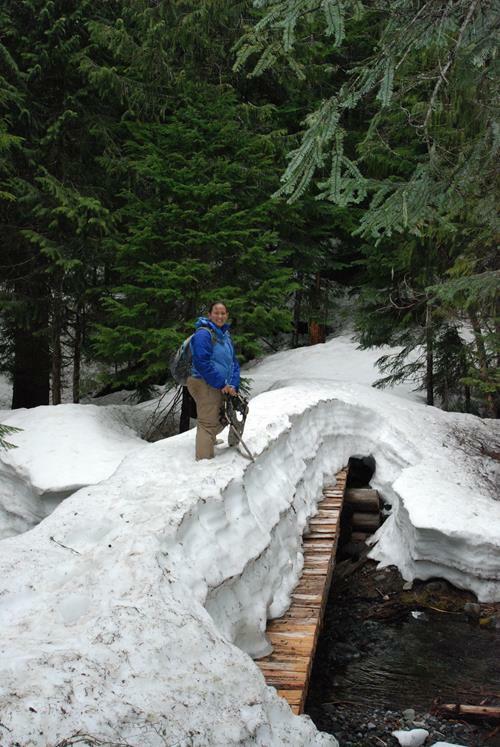 As late June approached, the snow had melted enough to allow for hiking some of the higher sections of trail. I did two overnight backpacks to complete the Sunrise to Box Canyon Section and Sunrise to Isput Creek Sections. These sections were at high elevation and the trails were clear of down trees. The alpine meadows were in full bloom. The Avalanche Lilies had helped the snow melt from the trails. The ridgeline just after the Indian Bar Campground is my favorite section of trail. Later in the summer, I did an overnight hike on the Mowich Lake Loop. I hiked from Mowich along Wonderland to Ipsut Creek and then back to Mowich via Spray Park. I enjoyed hiking through the old-growth of Ipsut and the meadows of Spray Park. My summer at Mount Rainier was over, and I still had a third of Wonderland left to do. It was impossible to complete the Longmire to Mowich Section as an overnight. I finished up my last shift at Paradise Inn, packed my bags, and handed my car keys to my roommate so she could pick me up in Mowich. It was a great four days of hiking along the western section of the Mountain. The trail provided great views of the glaciers and geological features. + The trail visits all the different zones of the park. 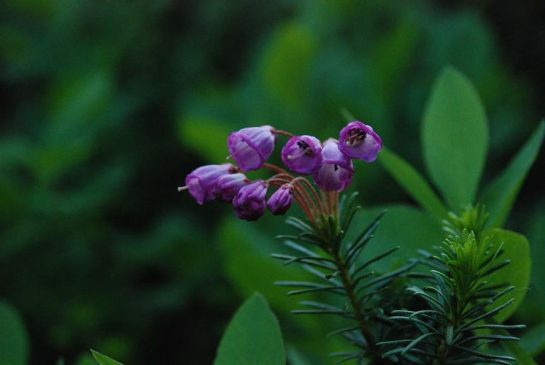 You hike past alpine lakes, old-growth forests, alpine meadows, glaciers, and snowfields. + Most the trail is deserted. The thru-hikers tend to spread themselves out. There are two or three sections that are popular day hikes, but most the trail is you and the wilderness. 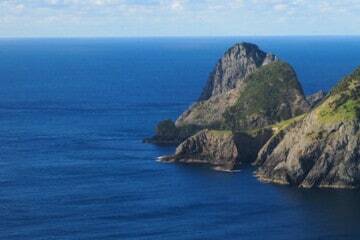 + It’s a 360-degree mountain. On the trail, you experience all sides, not just the west side seen by Seattle. + Enjoying the alpine meadows without the crowds. The meadows near the visitor centers are often crowd and damaged by the tourists. 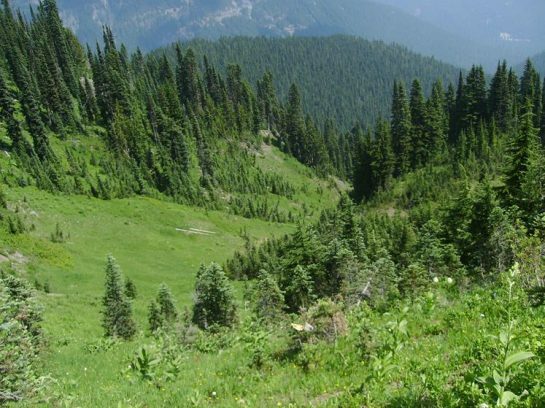 Wonderland passes through remote meadows that are relatively untouched. 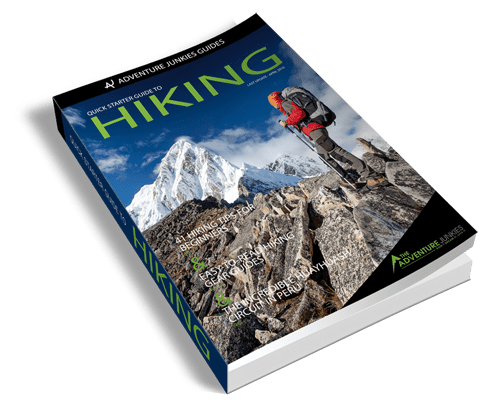 – Bushwhacking after losing the trail in the snow in early June. Check with rangers for trail conditions snow pack level. Carry a good map and compass. – The mosquitos at Mystic Camp were awful in late June. Bug spray didn’t seem to have any effect. From Mowich Lake, TAKE THE SPRAY PARK VARIATION. It is more scenic than the Mowich to Ipsut Creek section of the Wonderland Trail. BE PREPARED FOR SNOW on the trail. Unless the weather has been perfect, there will be snow on the trail at some point. CAMP AT INDIAN BAR CAMPSITE. 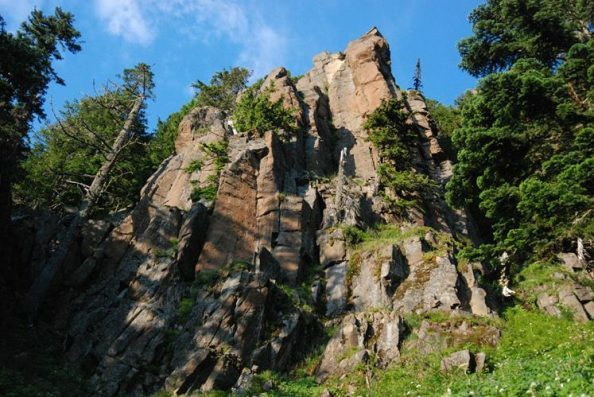 Most Wonderland hikers agree it’s the best campsite on the trail. PLAN AHEAD OR BE FLEXIBLE. It is recommended that permits be acquired in advance of your trip. Permit reservations start in April every year. If obtaining permits upon arrival, head to Longmire, Isput Creek, or Sunrise/White River and a ranger will assist you in planning your trip.